On St. Patrick’s Day, Corofin cemented themselves as one of the greatest club teams of all time. It is not only the fact they retained their title, but it is the fashion in which they did it. The North Galway club are the complete antithesis to most inter-county teams nowadays, in terms of style of play. Corofin became the third club to retain the Andy Merrigan Cup on Sunday. University College Dublin in 1974 and 1975, while Armagh giants Crossmaglen Rangers achieved this on two separate occasions: 1999 and 2000, and 2011 and 2012. The story of Crossmaglen is amazing. During the Troubles, the British army stationed their barracks right next door to their pitch, and sometimes they would land helicopters on the pitch in the middle of games. They were a shining light of defiance in the face of the British establishment. They produced players like Francie Bellew, Oisín McConville, Jamie Clarke, Aaron Kernan. Even with these circumstances, what Crossmaglen have been able to achieve is extraordinary. In 2015, Corofin beat Derry’s Slaughtneil 1-14 to 0-07 in the All-Ireland Final. It was Corofin’s first All-Ireland title since 1998, despite knocking on the door for many years. In the 2018 Final, Corofin faced up against Nemo Rangers. The Cork club are the most decorated club in Ireland, with seven All-Ireland titles, and they are not used to losing on a big day. However, Corofin utterly embarrassed them. The affair was over after 10 minutes and it looked like the Nemo players could not even lay a glove on the Corofin men. It was typified with Michael Farragher’s goal, four hand passes inside the Nemo 45 metre line and bang. Corofin had two goals after 20 minutes. 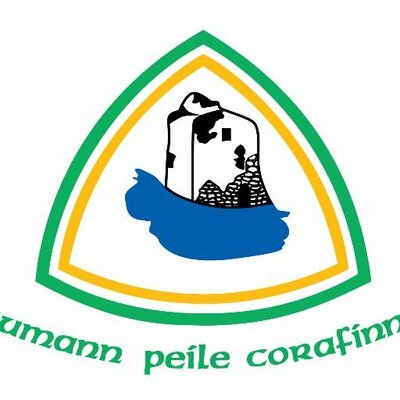 The astonishing thing about Corofin is not only do they have such a positive style of play, but it is the intensity they bring. They blitz you and before you even realise what is happening the ball is in the back of the net. They would go onto a defeat Nemo Rangers, 2-19 to 0-10. This year, Corofin faced Dr Crokes in the Final. The Killarney club had defeated Corofin in the 2017 All-Ireland Semi-Final 2-11 to 0-08, and they went on to win the All-Ireland. It gave Corofin the added incentive of not only retaining their title but of getting revenge. It was déja vú; just like last year’s Final, Corofin scored two goals after 20 minutes. The second goal was everything good about football, it reminded me of Guardiola’s Barcelona in their pomp. Martin Farragher’s pass to Daithí Burke was akin to a Sonny Bill Williams offload and the unselfishness of Ian Burke to hand pass across to an unmarked Gary Sice who palmed it in. It was poetry in motion. Corofin would win out 2-16 to 0-10. It was nearly a carbon copy of last year’s final. It was tonic to see on Sunday that Gaelic Football is still alive and well. There has been a lot of doom and gloom the past few years about how the game is being played. Seeing teams installing defensive set-ups, where they drop 13 or 14 men behind the ball and just try to spoil the other team. Some of these teams don’t put any emphasis on scoring themselves. That is why it is great to see Corofin play the way they do. They are all on the same wavelength and they play with a smile on their faces. It won’t be the last time we see them in Croke Park, and they still have a relatively young team, which is scary.